In the Art of Ki Aikido there is no aggression, tension or competition. Classes are suitable for all levels of fitness and may be practiced equally by people of any size, age or ability. The purpose is to learn to co-ordinate our mind and body through the practice of Ki Aikido which will enhance the quality of our lives. The Richmond Hill Ki-Aikido club is a non profit organisation and is part of the Canadian Ki Federation (www.canadiankifederation.org) which is affiliated to the Ki Federation of Great Britain (www.kifederationofgreatbritain.co.uk). The Ki-Aikido club is run by Sensei Seehra and he was awarded his 4th Dan by the Ki Federation of Great Britain and has been with the Federation since 1995. The club is assisted with Sensei Rodrigues who obtained his 1st Dan also from the Ki Federation of Great Britain in the summer of 2017. 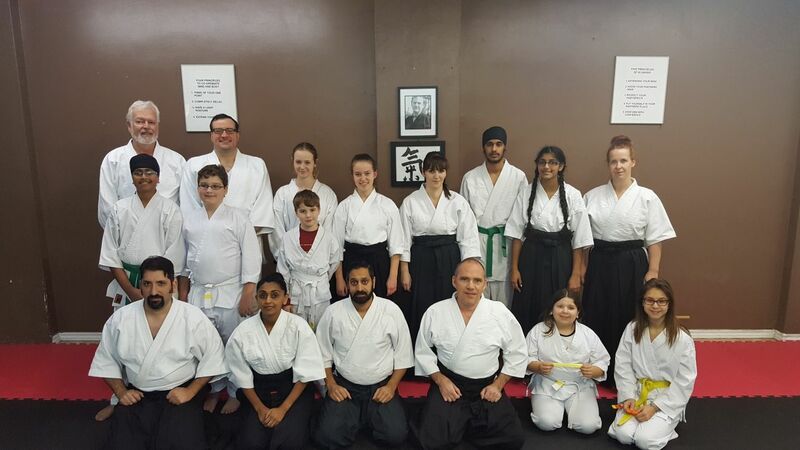 Our club meets for practice at: Bushido Kai Martial Arts Centre (Richmond Heights Plaza) 10520 Yonge Street, Richmond Hill, Ontario, L4C 3C7 (map it). Wednesdays 7 pm – 9 pm Wednesdays 6 pm – 7 pm.